Once past the Ordeal, the hero is ready to Seize the Sword, says Chris Vogler. In July we received development funding for THE MORTAL COIL. Next it was selected into SPAAmart and now the AFC is funding the production of the animation ACID SUN, after only one application. It sounds like OZZYWOOD Films is seizing the sword. What is the secret? And is the Ordeal now finally over?? If luck is one factor, what other factors are there? The talent of the writer, first and foremost. I have the honour and the pleasure of working with brilliant people. Without an interesting concept you can edit until the cows come home. THE MORTAL COIL has the support of Richard Taylor at the famous Weta Workshop in Wellington. Given the amazing track record of that effects house, their attachment is a major bonus and it helps convincing decision makers that this project will fly. There is no doubt in my mind that the story development approach is another crucial factor in those recent funding successes. I used to get sucked into reading, analysing and assessing screenplays. Most scripts have enough weaknesses on the scene level for a script editor to provide his money's worth in surface level feedback. The writer takes on board all the comments and does a - often completely useless - rewrite. My rejection rate used to be higher than average until I changed my development strategy. 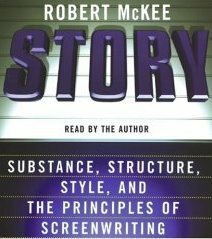 By focusing on the story, the writer doesn't touch the screenwriting software until the structure works. This sounds like a longer process, but the reality is just the opposite. If there is an easier way, why do we keep getting caught in this trap? Why do we all give feedback based on the script? I believe that we are scared to tell you - the writer - to fundamentally review the story. What if you walked away to find yourself another editor? It would mean the potential loss of some hard-earned business. Will those essential story changes guarantee a movie that works? Of course not. The most quoted line in the movie industry is William Goldman's "Nobody knows anything." But a well-structured story will increase the chances that better people read your script and give you better feedback so you get a step closer to funding. Once you have successfully applied the principles of story structure and you've made it past the Ordeal of story and script development, remember Vogler and don't confuse the Sword with the Elixir. 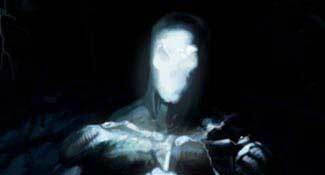 I, too, am fully aware that the Final Confrontation is yet to come. The Australian Film Commission is paying $60,000 towards the production of ACID SUN, the first project I took on as a producer after becoming a father late 2004. Parental responsibility had brought with it a greater focus and a more radical selection of projects and short films just didn't seem to cut it any longer. “Short films no longer work as a calling card.” or: “Short films can’t move an audience the way a feature does.” "They don’t make any money". Above all: I believed short films lack demonstrable narrative principles. My involvement in AEROSOL opened my eyes. It taught me the importance of rigorous story development, even for short films. AEROSOL, an outstanding directing achievement by Wojciech, was selected into more than twenty film festivals but it only captured one significant prize. Hardly a successful conversion rate. The film is heavily effects-driven and makes a beautiful poetic statement about the society we live in. How could juries all around the world be so wrong and not honour this gem with an abundance of prizes? I joined the project after the initial producer was fired. The film had already received funding and the script was locked off, so I proceeded immediately to getting the film made without questioning the script. When it became apparent that AEROSOL was not winning any prizes I finally analysed the story's structure, which revealed another good reason why the first producer should have been fired: he didn't have a clue about story. The film lacks a second act. AEROSOL starts with the ordinary life of a worker, whose routine is soon disturbed by an ant: the inciting incident. Then starts a cat-and-mouse game between the two, which lasts until a major reversal. In a classically told story this reversal would have been the First Act Turning Point, defining the protagonist's objective. Instead what follows feels very much like a Third Act, with the ant now being the more active character and the only one showing a visible objective. Finally, a poetic epilogue ponders over the things that matter in our society. The ending leaves our characters' journeys very much open. Regardless of its structure, AEROSOL is a beautiful statement and many people have genuinely enjoyed the film as a wonderful piece, both artistically and philosophically. But emotionally, it does not fulfill our instinctive needs for a three act story. Looking back, it was an obvious oversight of myself to not critically examine the film's storyline (and I shouldn't blame the first producer no matter how little he cared). But how many of us really do analyse the structure of short films? In the case of AEROSOL, even the FTO assessors didn't pick up on the story flaws although a rewrite would have taken a fraction of the effort it took to produce the film. And the film would have won prizes. If you want to read more about structure for short films, you might check out Writing Short Films by Linda Cowgill, who came to the same conclusion, only seven years earlier. Last year I purchased POWERSTRUCTURE from the guys at WriteBrain and they offered a massive discount on a DVD box set called THE HERO'S 2 JOURNEYS. They explained it was voted DVD of the year or something by the Australian Cinematographers Society. I wasn't turned off the idea so much by the ACS reference - I'm about to believe our DOPs understand story better than our screenwriting teachers - but there is something very inconvenient about screenwriting theory on a video/DVD. I did end up paying the additional USD$$$ because 1) the discount was really huge and 2) I love the guys at WriteBrain, they know their stuff. Lucky. This is pure gold. Michael Hague talks in crystal clear terms about what makes a good protagonist and what are the essential steps for an outer journey to work. 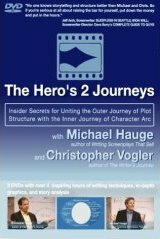 Next, Christopher Vogler sheds some light on the workings of the hero's inner journey. In a strong drama the one never goes without the other, so it makes perfect sense to discuss the hero's 2 journeys together and this DVD set does it brilliantly. Finally the theory is applied to Steven Soderbergh's blockbuster ERIN BROCKOVICH. Another stroke of luck: I found a perfect way around the inconvenience of the medium. A software program called DVD Audio Extractor literally changed my life. I now rip DVD sound to mp3 and listen to it on my Creative Zen while walking the dog. The same way I listen to DVD commentaries. I recommend you do the same and keep THE HERO'S 2 JOURNEYS among those mp3s you never delete from your player (like Robert McKee's audio book version of STORY). Hi Karel, well done. Great blog, but you should have separated the two things. The bit about structure and software. I've been watching a lot of Australian films recently, and I think one of the problems they all seem to have to some degree is what Linda Aronson said, that the characters have nothing to do. There's a lot of work on creating character and making them talk 'real', but there's no action to move the story forward, either visually or in story line. It's all talk and gratuitous scenes to clarify character. The most recent film I saw on Foxtel was Three Dollars. Great acting, but ...... the story could have been told in half the time, or it could have been made more compelling by making the action more complex. The Europeans are very good at that. They do it with visual cues, not dialogue. I wish I could write like that. In my view THREE DOLLARS combines two problems: it is an adaptation from a novel and the hero is passive. Both are probably linked as the novel (I presume) gives direct insight in the world of the protagonist's thoughts and feelings.